Learn how to publish a new design to your live site, replacing your current Showit design. If you already have a live site and wish to change the design the process is very easy and simple. There are no migrations or domain changes necessary, just need to adjust the site settings in the new design. First make sure you are in the new design you want to publish in place of your old one. Next head to the site tab in the left sidebar and choose the site settings. Next in the site settings pop-up menu select edit next to custom domain where it reads "domain not set" to set your domain in the new design. If you don't have a blog with your site that is all you need to do! 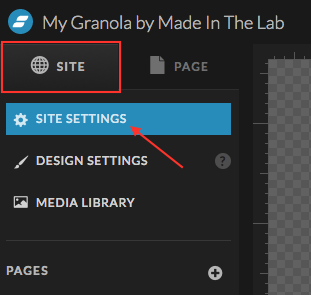 Set that setting, then close the site settings menu and hit publish in the top right corner of Showit. If you have a blog read on below to complete the additional step needed to get your new design published. 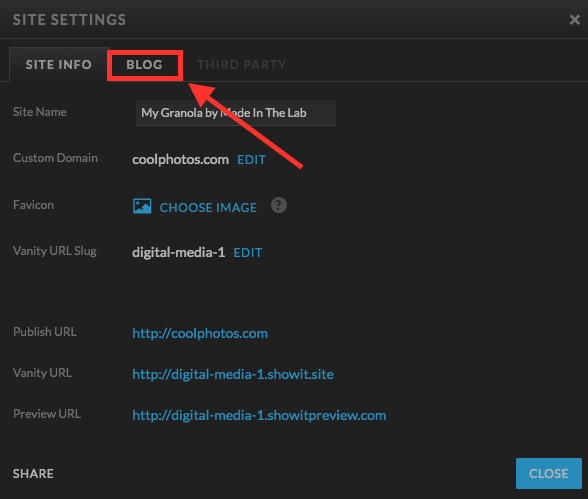 So for our blog users you will next need to click over to the blog tab found in the site settings. 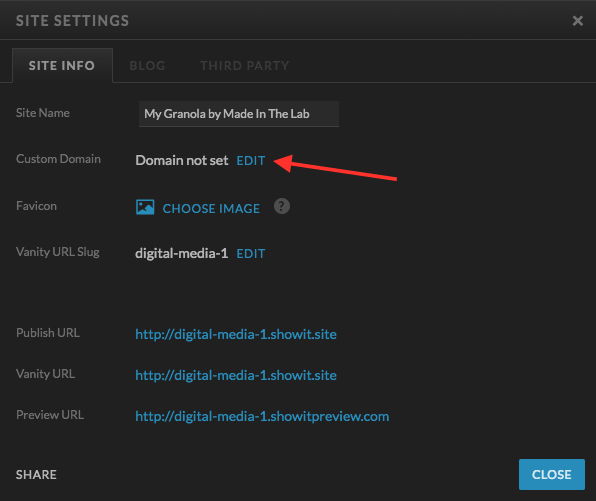 Once in the blog tab choose your domain here to set it properly then close the site settings and hit publish in the top right corner of Showit! Just like that, your new design is published! *NOTE* this is not how you would publish a new site, these instructions are only for those users who already have a Showit site live and are simply changing the design. To publish your Showit site for the first time, follow these instructions.